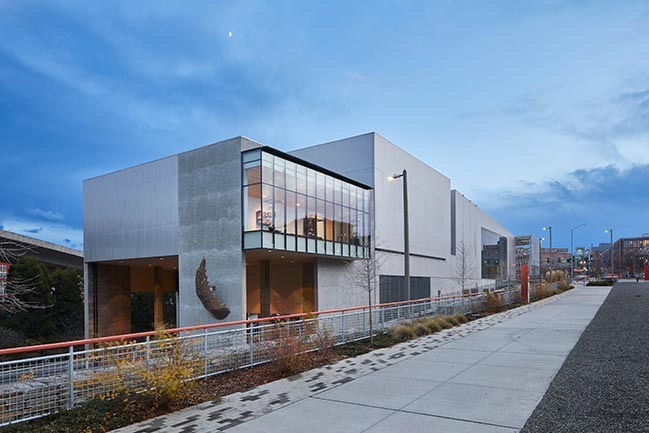 The newest addition to Tacoma Art Museum, the Benaroya Wing is a 6,595-square-foot expansion to house the Benaroya Collection, a legacy gift donated to the museum by Rebecca and Jack Benaroya. From the architect: Led by Design Principal Tom Kundig, FAIA, RIBA, and Principal Kirsten R. Murray, FAIA, the design of the Benaroya Wing balances opacity and transparency to provide optimal viewing conditions for more than 350 works of glass art, paintings and sculpture by Northwest and international artists. 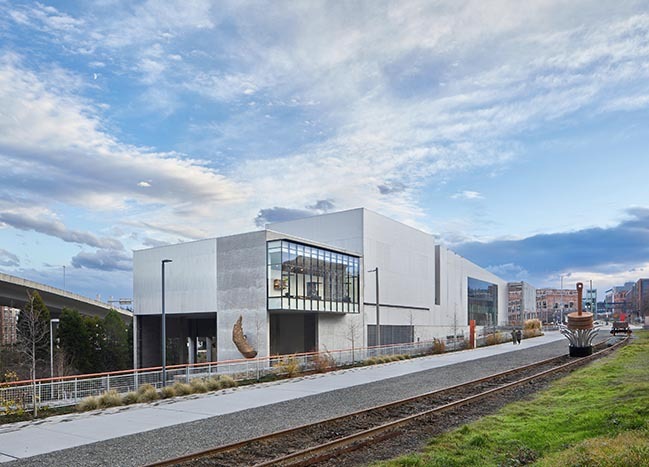 The addition also strengthens the visual connection between TAM and the city by activating the north end of the museum and offering a new platform for visitors to observe the urban context from the galleries. “With the new Benaroya Wing, I’m most excited about the opportunity to break down traditional thresholds between the museum and the public. 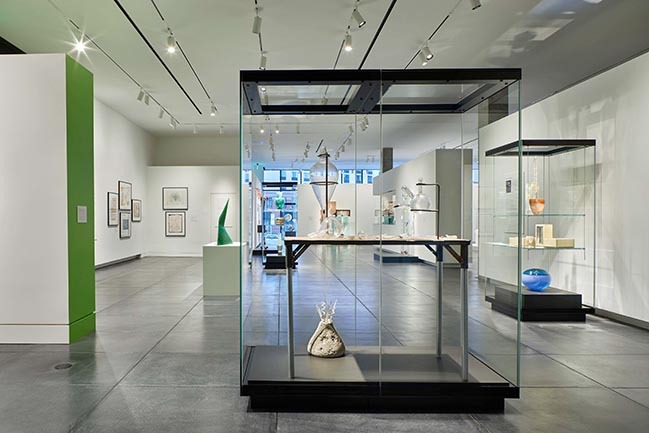 The new Vista Gallery is designed to entice people inside to view the Benaroya Collection by offering a peek-a-boo or a look into what’s happening inside the museum.” - Tom Kundig, FAIA, RIBA, Design Principal. 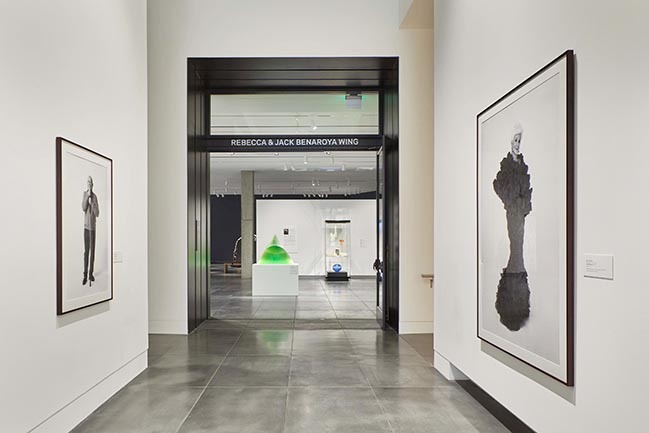 The addition includes 4,800 square feet of new gallery space, which will contain works from the Benaroya Collection as well as rotating special exhibits. 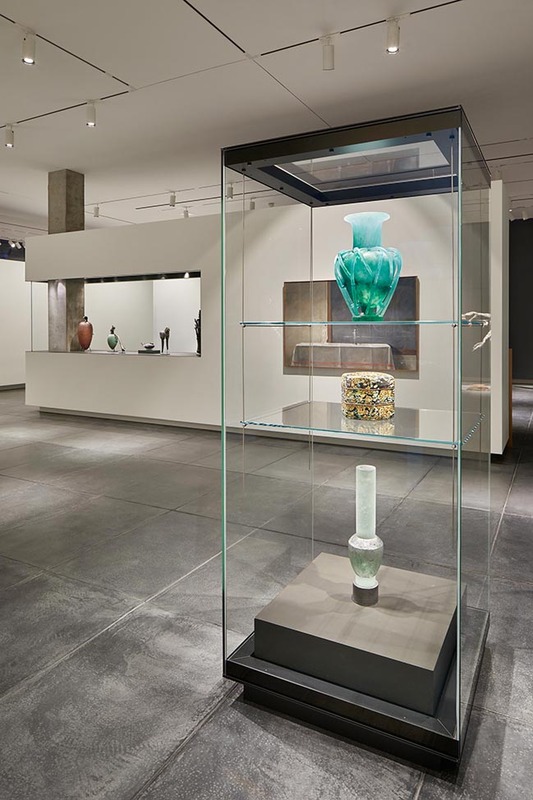 Because the Benaroya Collection was originally a privately held collection and contains many glass artworks, the key design strategies were founded around a sensitivity to scale, lighting and protection of the art. The resulting design translates this private collection to a civic-scaled public exhibition forum. 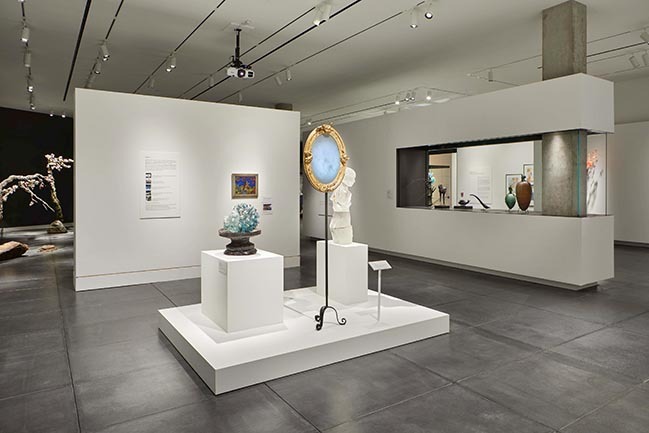 The galleries include flexible exhibit armatures and moveable temporary walls that allow curators to present the collection in multiple ways. 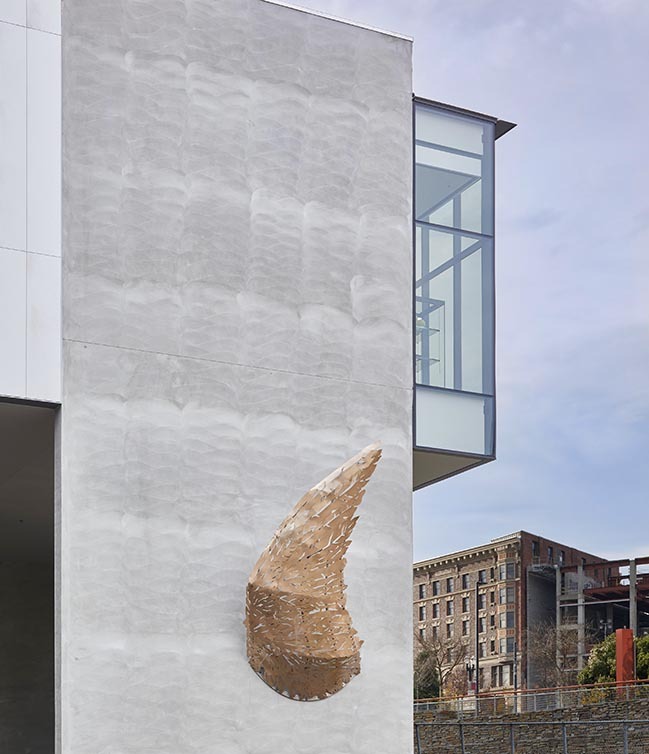 “With the new Benaroya Wing, the intimate scale inside the gallery is balanced against the external civic scale of the city of Tacoma. 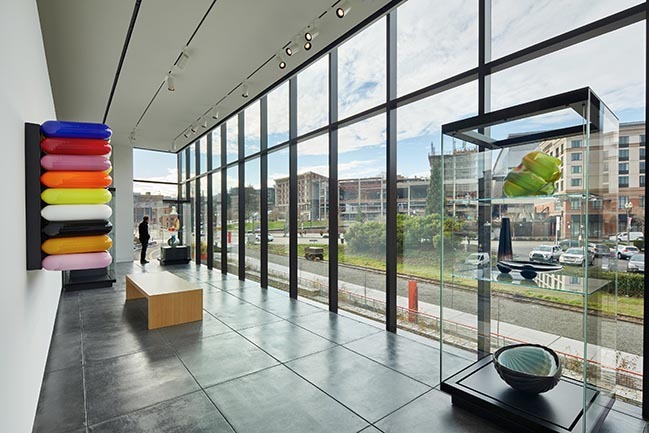 The Vista Gallery with its window wall offers a lens into what’s happening inside the gallery, and outside to the urban experience of downtown Tacoma.” - Tom Kundig, FAIA, RIBA, Design Principal. 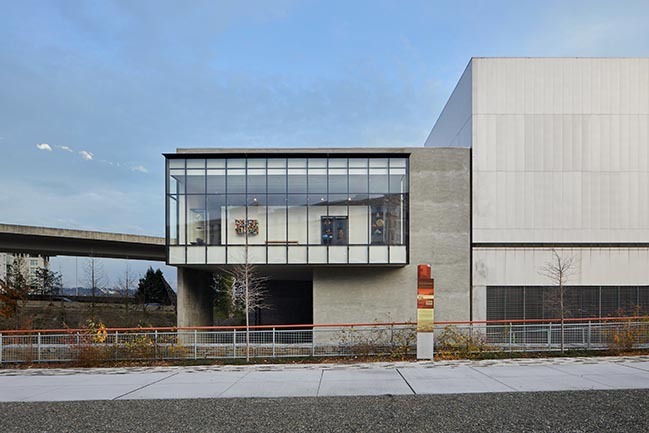 In addition to an expanded collection, the Benaroya Wing allows TAM to offer more visibility to the community. 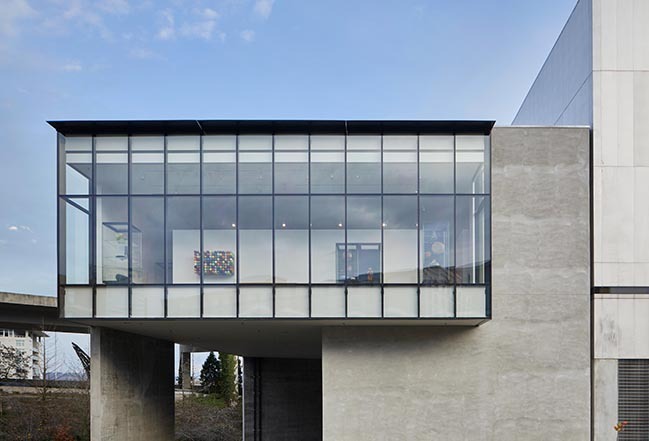 At the far end of the new wing is the Vista Gallery, comprised of a 46-foot-wide window wall projecting six feet out from the building’s face. This window wall overlooks the Prairie Line Trail’s pedestrian and bike paths, and the urban context of the city beyond. 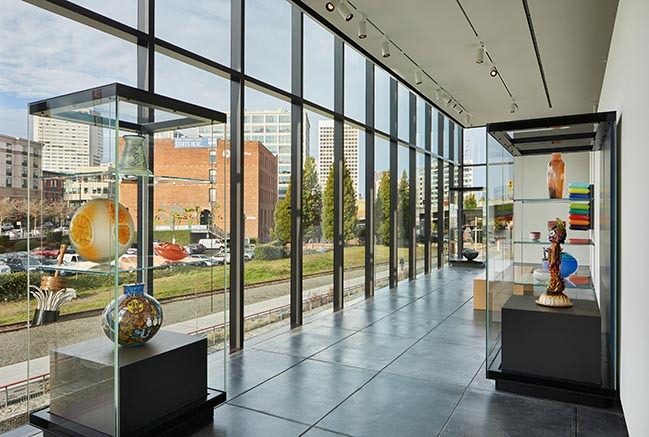 A new illuminated beacon for the museum, the Benaroya Gallery draws the eye and creates a new point of connection between TAM, its collections and the community of Tacoma it serves. 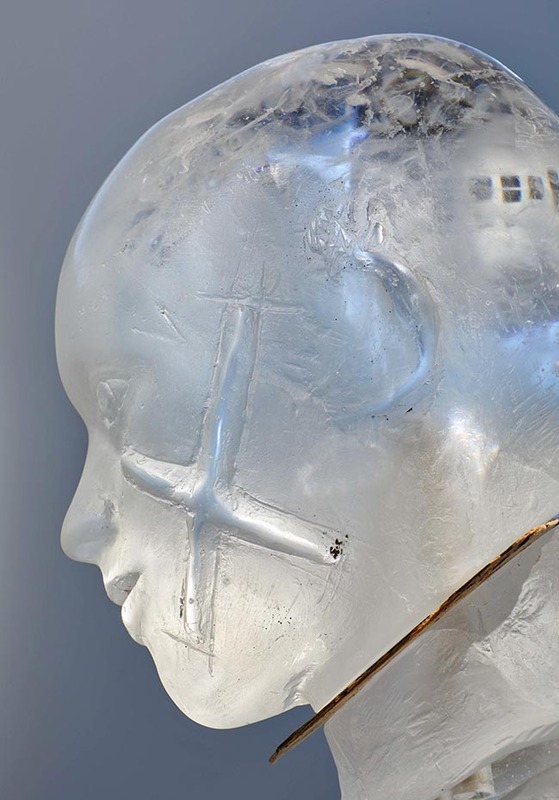 “The Benaroya Collection is an extensive private collection and represents a single point of view. This is interesting because in preserving the collection, TAM is allowing for a story to emerge about a particular time, place and attitude about art, which is important to the history of the larger museum collection. 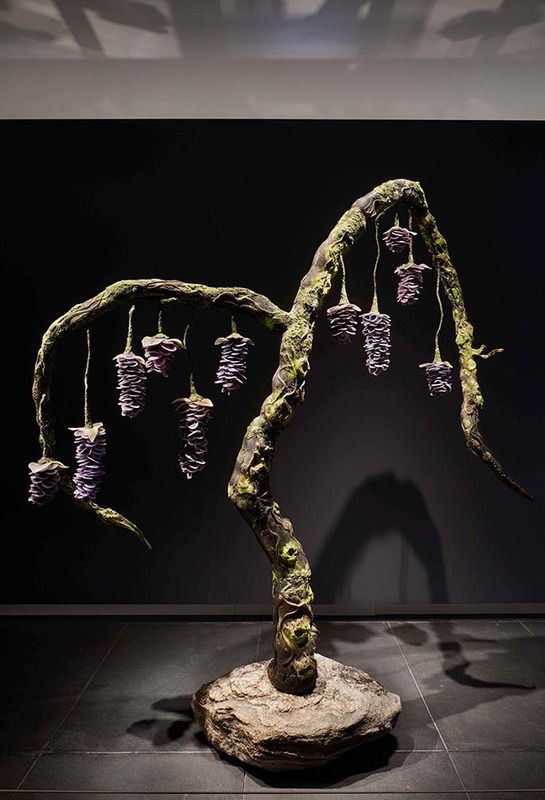 At the same time, we knew that there might be outside pieces brought in to be displayed in this gallery – pieces that in their difference, might articulate the intention of the art and add a richer layer to the story of this collection. 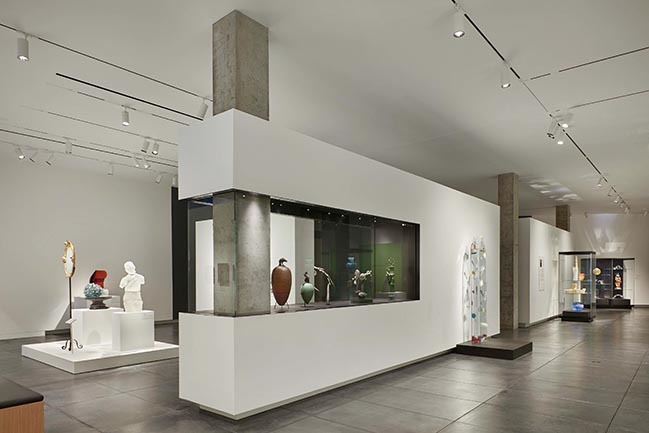 Translating the private scale of the collection to a public scale meant we had to be smart about how we mounted and displayed the pieces to make them legible as they were originally intended to be viewed.” - Tom Kundig, FAIA, RIBA, Design Principal. 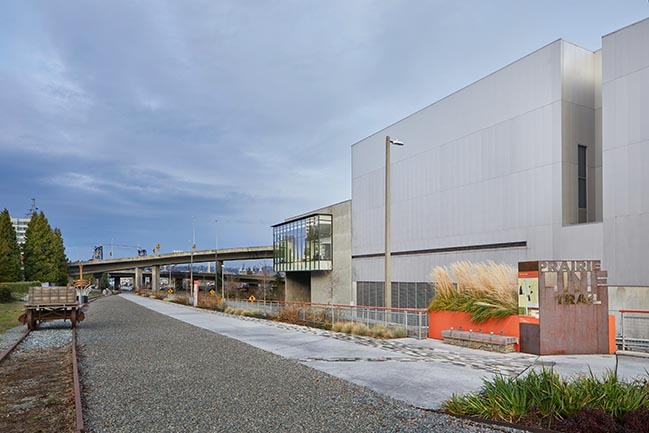 “This project continues our longstanding relationship with the Tacoma Art Museum as it has incrementally grown and enriched its relationship with the city over the years. 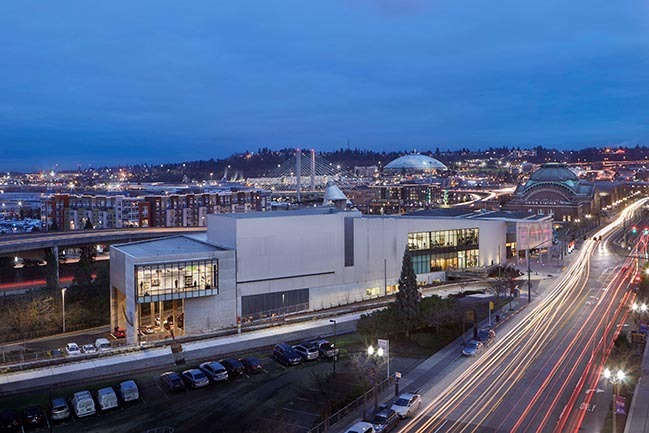 Designing additions such as the Haub Galleries and this new Benaroya Wing, which are intended to help TAM more fully integrate with its context, has continued to bring new life into this community-engaged institution.” - Kirsten R. Murray, FAIA, Principal.